Venus supermarket on Dickinson road have quinces every autumn. I’m making some quince and blood orange marmalade and quince cheese today. This quince marmalade is not too far away from quince cheese. 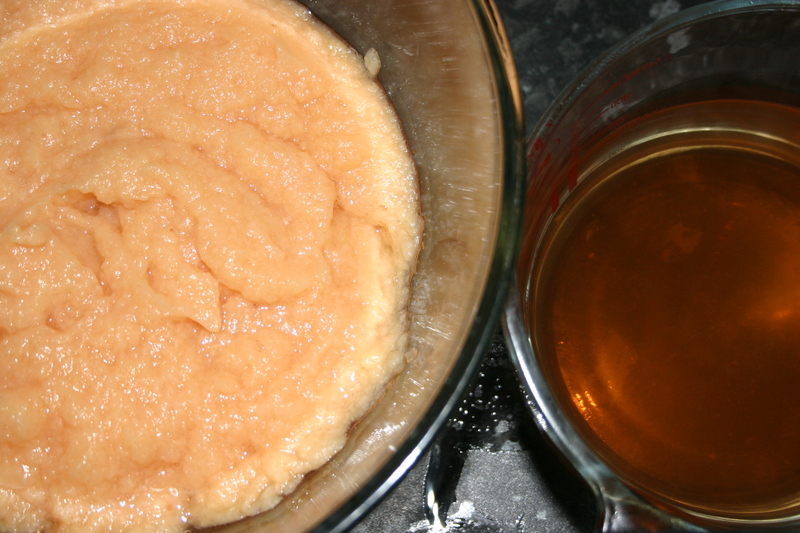 It’s funny that you’re doing blood orange curd, as I was planning to make some this week. Great minds think alike…? I made quince and blood orange marmalade; it worked well. 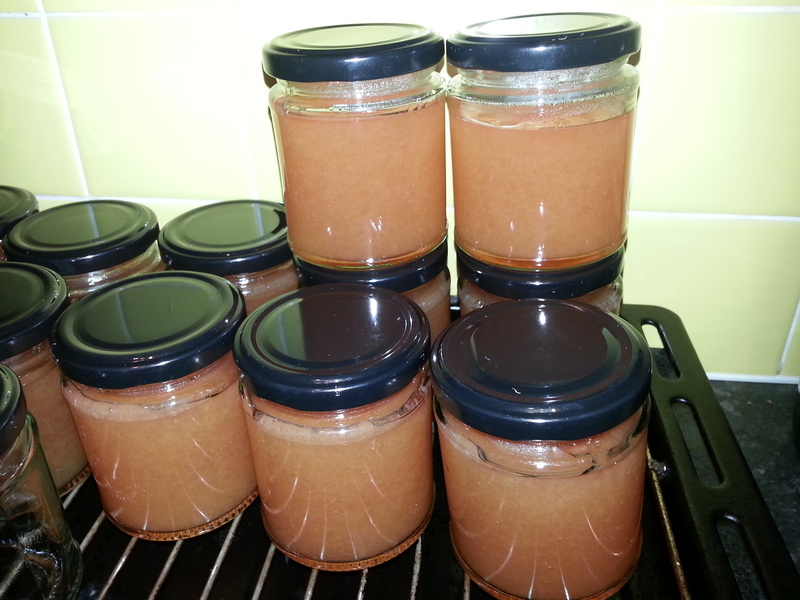 Blood Orange curd sounds nice; have you done it before? I have not, but will be making it this afternoon. I hve been inventing new fruit curds. Can’t wait for gooseberry season! How did the blood orange recipe turn out? Do you have a recipe you are willing to share, please. I had a bumper crop of quince for the first time this year. so far I have made 7lbs of jelly, 12lbs of the above jam recipe and still have 3large glass bowls of fruit left. I am loving it all. I am taking some with me to a thanksgiving dinner today, as my British contribution to their feast. I’ve made quince ratafia this autumn – it’s a quince liqueur made with brandy and spices. Not tried it yet, but will write a post as soon as I do. The blood orange curd recipe did work out very well. Not sure if I wrote down the recipe, if I find it, I’ll write a quick post on it…. 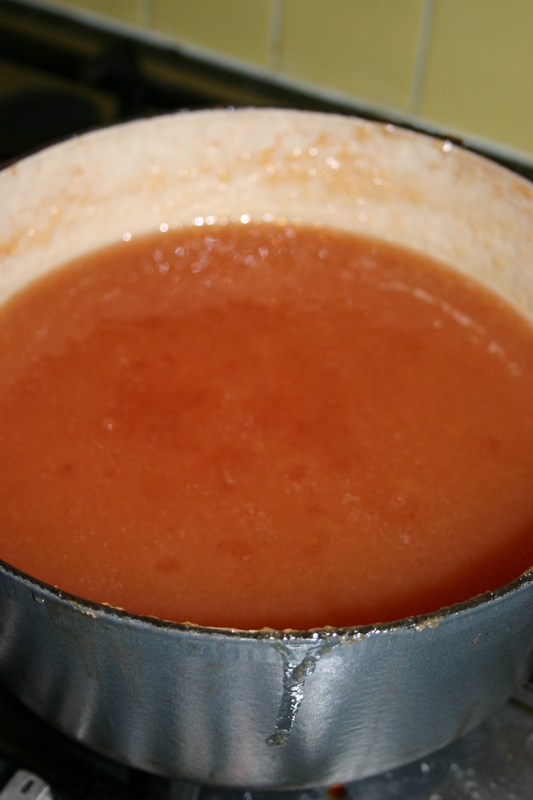 Portuguese still make Marmelada from Quinces. Its quite a dark very thick preserve. Goes delightfully as small cubes on toothpicks with matching cubes of blue cheese. That sounds very much like a quince comfit recipe I once tried and with blue cheese it must have been delicious! The Spanish do one called Membrio. Its eaten with Manchago cheese. The recipe in Constance Spry for ‘Quince Cheese’ is essentially the same thing. I have never heard of Constance Spry! I shall have go and google her right away! I just noticed that the proportions of juice and sugar are wildly different in the imperial measurements you give versus the metric ones – around twice the amount of sugar with the imperial measurements! I have gone with the metric as 1.5 kg sugar to 4 kg quinces seemed about right – it’s on the stove now so hope it comes out ok. I have a quince tree and have tried jelly and membrillo before, so this looks like a nice compromise between the two! I have some ornamental quince bushes full of fruit and am proposing to try this now… I presume they’re okay for the job? Well, I’ll find out. I don’t understand why you strain out the pulp and then add it back in. Please can someone suggest why you do this? Thanks for your timely reply! Next March might not have been quite so useful.. The recipe does say to peel and core the fruit, but I like the sound of not doing that. Will give it a go! Haven’t wrestled all the fruit of the bushes yet, but hope they come off soon. Thanks again! Hello again… Well, I made it! It looks a nice dark red colour which might be that it burned a bit on the bottom of the pan, when I got fed up with it not thickening and walked away from it for a while. My feeling is that if I don’t tell anyone that they won’t know as who knows what it’s supposed to taste like anyway? Haven’t actually tried it yet though. (Smells alright). Thanks for the encouragement! Just harvested 3 25kg sacks of quinces from my tree here in Chile… Followed this recipe but with grated ginger added. Perfect mermalada. Storing the rest of the quinces wrapped individually in newspaper for the winter (April is autumn here). It is common to eat slices of raw quince sprinkled with salt in Chile. Hi Andrew. Thanks for your post – I like the idea of eating quince with salt. Definitely going to give that a go when it’s quince season here!